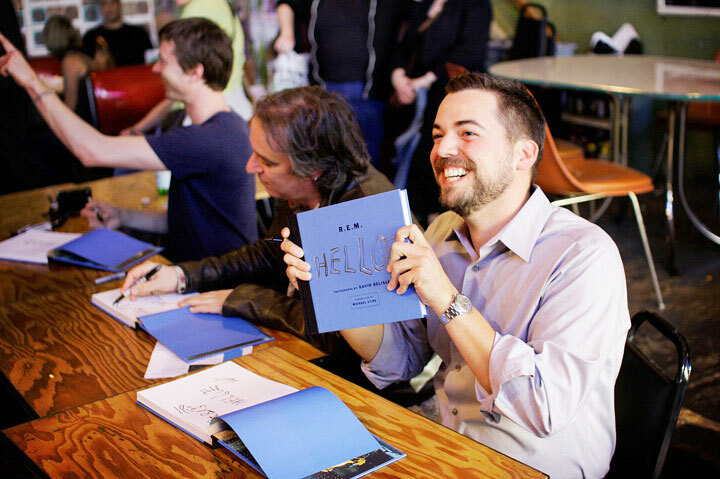 One of the greatest honors of my career was designing the book for David Belise's spectacular collection of R.E.M. tour and travel photos. As a close friend of the legendary band, he roamed the world with R.E.M. for many years, resulting in a very intimate and inspiring body of work. David and I spent many afternoons hovering over a mountain of small prints, making various groupings and discussing the best way to pace the experience. At the end of the design phase we asked the band to review the layouts and scribble any captions or insights that occurred to them, which brought a very personal touch to an already unique and exclusive look inside the daily life of a band as revered and accomplished as R.E.M.